Foster, C. (2017). Questions Pupils Ask. Leicester: Mathematical Association. Foster, C. (2013). 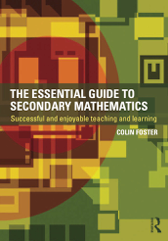 The Essential Guide to Secondary Mathematics: Successful and enjoyable teaching and learning. London: Routledge. Foster, C. (2012). 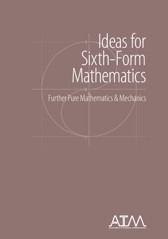 Ideas for Sixth-Form Mathematics: Further pure mathematics & mechanics. Derby: Association of Teachers of Mathematics. Foster, C. (2012). 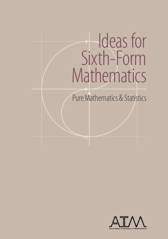 Ideas for Sixth-Form Mathematics: Pure mathematics & statistics. Derby: Association of Teachers of Mathematics. Foster, C. (2012). Flowchart Investigations: Explorations in mathematics. Leicester: Mathematical Association. Foster, C. (2011). Resources for Teaching Mathematics 11–14. London: Continuum. Foster, C. (2010). Resources for Teaching Mathematics 14–16. London: Continuum. Foster, C. (2009). Mathematics for Every Occasion. Derby: Association of Teachers of Mathematics. Foster, C. (2008). Variety in Mathematics Lessons. Derby: Association of Teachers of Mathematics. Foster, C. (2008). 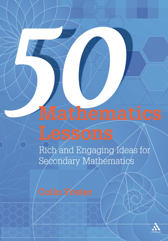 50 Mathematics Lessons: Rich and engaging ideas for secondary mathematics. London: Continuum. Foster, C. (2003). Instant Maths Ideas for Key Stage 3 Teachers: Number and algebra. Cheltenham: Nelson Thornes. Foster, C. (2003). Instant Maths Ideas for Key Stage 3 Teachers: Shape and space. Cheltenham: Nelson Thornes. Foster, C. (2003). Instant Maths Ideas for Key Stage 3 Teachers: Data handling, numeracy and ICT. Cheltenham: Nelson Thornes. “Covering a diverse range of topics including number, algebra, geometry and statistics, each essay is thought-provoking, engagingly written, and accessible for KS3 and 4 students, as well as teachers”. Review in (2017) Teach Secondary, 6(5), 52 – click here to read the entire review. “Very relevant to today’s teachers and students … an excellent addition to a mathematics department’s bookshelf”. Darren Brumby (2019) Review in Mathematics in School, 48(2), 34 – click here to read the entire review. Combining research-based theory with fresh, practical guidance for the classroom, this book is a stimulating new resource for all student and practising teachers looking for new ideas and inspiration. With an emphasis on exciting your mathematical and pedagogical passions, it focuses on the dynamics of the classroom and the process of designing and using rich mathematical tasks. The text is punctuated throughout by frequent tasks, some mathematical and others more reflective, which are designed to encourage independent thinking. · Ideas for lessons: what does it take to turn an idea into a lesson? · Assessment: effective strategies for responding to learners‘ mathematics and writing reports. The Essential Guide to Secondary Mathematics is a valuable resource both for beginning teachers interested in developing their understanding, and for experienced teachers looking to re-evaluate their practice. Aiming to develop all aspects of your mathematics teaching, this book will help you to devise, adapt and implement ideas for successful and enjoyable teaching and learning. For more details, click here. Click here for sample pages. Grant MacLeod (2013) Review in Mathematics in School, 42(2), 38–39 – click here to read the entire review. David Wright (2013) Review in Learning & Teaching Update, 64, 4 – click here to read the entire review. This book offers a wealth of innovative lesson ideas for important areas of post–16 mathematics teaching, bringing variety to the Pure Mathematics and Statistics curriculum areas within AS/A2 mathematics and IB. The material is arranged by topic and enables teachers to move away from an over-emphasis on routine textbook–based work. Hints and suggestions are included to make it clear where the ideas may lead as well as additional material for extension. Click on the image to buy from www.atm.org.uk. Click here for sample pages. Melissa Rodd, Institute of Education, London, UK; Association of Teachers of Mathematics – click here to read the entire review. Heather Davis, Lead Consultant for Mathematics, Cornwall Learning; Association of Teachers of Mathematics – click here to read the entire review. 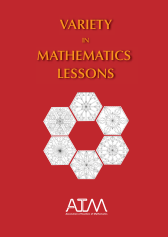 This book complements the first volume, offering a wealth of innovative lesson ideas for important areas of post–16 mathematics teaching, bringing variety to the Further Pure Mathematics and Mechanics curriculum areas within AS/A2 mathematics and IB. As in the previous volume, the material is arranged by topic and enables teachers to move away from an over-emphasis on routine textbook–based work. Hints and suggestions are included to make it clear where the ideas may lead as well as additional material for extension. Grant MacLeod (2013) Review in Mathematics in School, 42(2), 39 – click here to read the entire review. Heather Davis, Lead Consultant for Mathematics, Cornwall Learning; Association of Teachers of Mathematics– click here to read the entire review. Flowcharts are a visually engaging way of describing mathematical processes and can offer a starting point for rich mathematical activity. 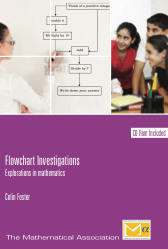 The 20 flowcharts in this book (also available on an enclosed CDROM) provoke purposeful mathematics and are accompanied by questions and prompts inviting learners to experiment, form conjectures, test their ideas and work on justification and proof. There is ample opportunity for learners to approach the tasks in different ways, to modify the flowcharts and to pose their own questions. Teacher pages for each task give details of the relevant mathematics and some suggestions of how the tasks might be used. This book is aimed at all teachers of mathematics at Key Stages 3 & 4, though it will also find some use at Key Stage 2.
Review in (2012) Teach Secondary, 2, 82 – click here to read the entire review. Kevin Higham, Association of Teachers of Mathematics – click here to read the entire review. John Sykes (2012) Review in Mathematics in School, 41(5), 47 – click here to read the entire review. This resource contains 50 ready-to-use mathematics lesson plans suitable for the whole department to use with learners aged 11–14. Each plan consists of a teacher’s sheet which breaks down the lesson into time-allocated sections from starter through to homework, together with a photocopiable (or downloadable) student task sheet to give out. There is also a companion website with extra material to support the lesson plans in the book, giving teachers the time and confidence to try new activities in the classroom with minimal preparation. The lesson tasks are open-ended and encourage deep mathematical thinking, allowing learners to explore different topics creatively through solving problems in their own way. 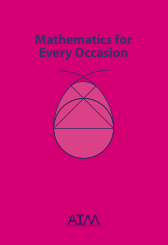 This is an essential resource for any busy teacher of mathematics. To preview the book, click here; for the online resources, click here. 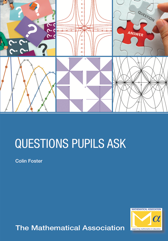 "Colin Foster has once again provided a rich treasure-trove of lesson ideas that will undoubtedly serve to excite the imagination of all learners. Each lesson holds the potential to be explored for a week (if not more!). An exciting resource that I look forward to continuing to use with all of my classes." This book contains 70 ready-to-use mathematics lessons suitable for students aged 14–16. Some lessons offer alternative routes through the curriculum, such as practising indices by solving radical equations, while others concentrate on difficult ideas, like appreciating that not all mathematical relationships are linear. The lessons focus on problem solving and putting mathematics into context, and are suitable for a variety of qualifications, including GCSE and IGCSE. This is an essential resource for any busy teacher of mathematics. For the online resources, click here. Peter Hall, Advanced Skills Teacher of Mathematics, Imberhorne School, East Grinstead; Association of Teachers of Mathematics – click here to read the entire review. This book offers suggestions for rich mathematical tasks inspired by topical themes occurring throughout the school year. It includes twenty-one different occasions with several suggestions for each. All the activities lead to interesting mathematical possibilities that capitalise on the moment in question. Click on the image to buy from www.atm.org.uk. Emma Folman, Association of Teachers of Mathematics – click here to read the entire review. "For the sake of a tenner, every department should have a copy." This book is a guide for teachers who wish to offer a greater diversity of experiences in their school mathematics lessons. It offers twelve different models or styles of lesson, with examples of how each one might be realised in practice. A 'must' for any maths teacher who feels that lessons are too ‘samey’ and wants to inject more variety and enthusiasm into their teaching. Mike Ollerton, freelance consultant; Association of Teachers of Mathematics – click here to read the entire review. Mark Dawes, Advanced Skills Teacher of Mathematics, Comberton Village College, Cambridge; Association of Teachers of Mathematics – click here to read the entire review. "A valuable resource for all teachers." This book contains details for 50 varied and interesting mathematics lessons, covering core topics from the 11–16 curriculum. Minimal preparation time is required, and the lessons seek to bring the ideas to life in unusual or memorable ways. "This collection is a 'must have' for every teacher who wants to inspire students to be excited by mathematics, yet not stray too far from core topics. Every lesson contains key insights into mathematics, using ideas, links and contexts which are mysterious, fun, silly, bizarre, practical and historical." Martin Marsh (2009) Review in Equals, 15(1), 24– click here to read the entire review.